On Sunday, May 26 I picked Hugh up at the Hope junction. He'd been camping with his parents. 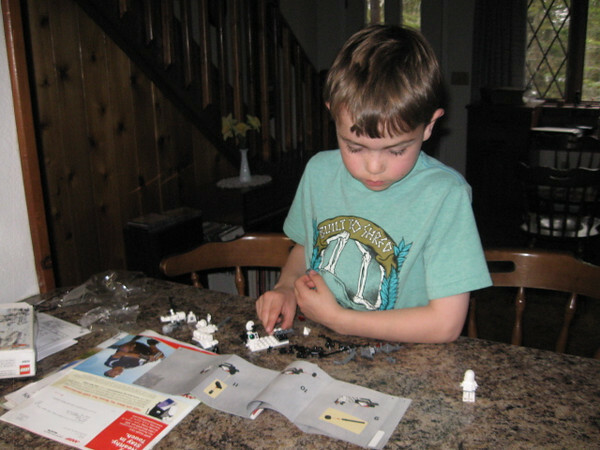 Hugh works on a Lego set following the instructions.